If you’re looking for an excellent security system with affordable monitoring and DIY setup, Link Interactive may be one of the best options for you. This company has home automation and takeover plan options to help you get everything you need from a security system. Read our full Link Interactive review to learn more. 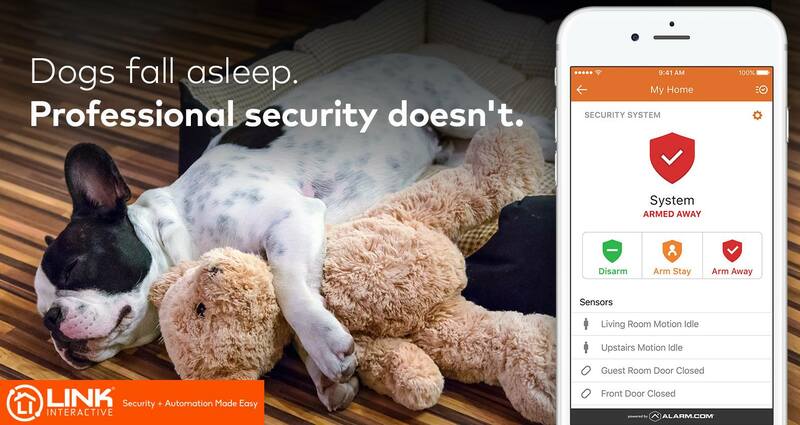 Founded by “two guys in a garage” in the 1950s in Utah, Link Interactive has since risen to be one of the top providers for home security in the country. 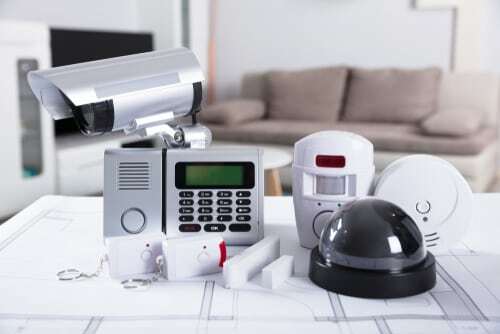 The wireless-based home security monitoring company offers comprehensive packages to customers looking to protect their home from intrusions and stay alert in the case of an emergency. 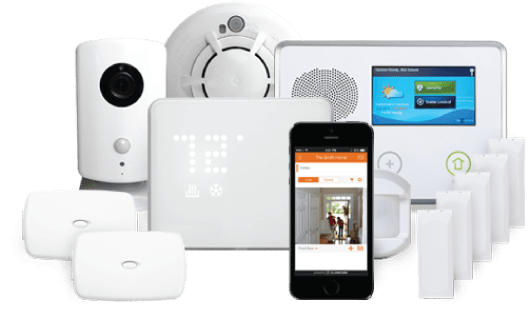 Link Interactive sets itself apart by being the “build your own home security” company, offering easily customizable bundles for customers. With Link, you can choose the level of monitoring that you want. Link Interactive does away with the hassle of scheduling a technician to come and install their systems and instead has easy-to-install systems that anyone can set up. You will be protected in no time by Link Interactive’s 24/7 central monitoring system that will alert you and the authorities in the case of a burglary or emergency. Customizable plans: Not every security system plan fits every family or ever home. Link Interactive knows this, so it offers customers options to choose what they need most. DIY installation: Save money and hassle by installing your system yourself instead of waiting for an expensive technician to put the equipment in for you. The wireless only option means you don’t have to deal with a landline. Home automation compatible: If you want both security and the latest smart home options, you won’t be disappointed with Link Interactive’s capabilities to do both. Takeover plans: If you already have a contract with a security company, Link Interactive will take over that contract so you can switch over to Link without the wait. Equipment warranty: The warranty from Link Interactive is only 1-2 years. Other companies offer more extended protection options. Long-term contracts: Like most companies, Link Interactive requires you to sign a long-term agreement to get the service. No landline: Link Interactive only offers wireless systems. If you would prefer a landline connection, choose a different company. No professional installation option available: While some people love DIY options, other people would be more comfortable with the professional setup. Unfortunately, Link Interactive only offers DIY installation. Pay equipment costs up front: Most companies have you pay for the equipment during your contract. Link Interactive has you pay for all the pieces you use at the beginning of your service. This company offers several great features to help customers get the most out of their systems. This portion of our Link Interactive review will go over some of these features in more detail. Instead of waiting for a technician to install the system for you, enjoy the simple do-it-yourself installation process that Link lays out. Link Interactive claims that its systems can be installed in about 30-45 minutes. The customer service support team is always available in case you experience any issues. If you need a little guidance on where and how to place your sensors and cameras, the website goes into detail with several tips and tricks and possible layouts for you. If you opt for a Gold or Elite plan, you have access to the hands-free control panel. If the system is breached, you can talk to the emergency operators. They will alert emergency services for you. Don’t worry about the motion sensors setting off false alarms. Link’s sensors can be programmed not to detect anything under 40 pounds. Some burglars try to smash the control panels as a way to disrupt the monitoring signal. Link Interactive’s monitors are through a cellular connection to make it harder to interrupt that signal. The control panel is also equipped with a smash and crash protection. The emergency operators will be alerted if the system is destroyed. Most security systems have long one- to three-year minimums on their contracts, but life is unpredictable. If you have to switch companies for any reason, Link Interactive has a takeover program in place to help you with the financial and technological part of changing companies and upgrading your old systems to Link’s new, interactive systems. Link Interactive provides three levels of standard protection, and each plan is customizable to whatever fits your needs. The company makes it easy to choose the technology that works perfectly for you. This part of our Link Interactive review will go over the basics of the plan options. The Standard bundle is the most affordable option available for Link customers. With this basic protection plan, sensors and monitoring will protect your home. In the case of an alarm, Link will notify the authorities and send them to your home. The system is wireless and uses cellular monitoring to keep your home safe. In addition to the professional security monitoring, your home will also be protected by smoke, fire, and carbon monoxide detectors throughout your home. The second level of protection is the gold level, which provides all of the same perks as the Standard level plus home automation. The Gold level is the most popular plan among their customers because of the various home automation features available for use. 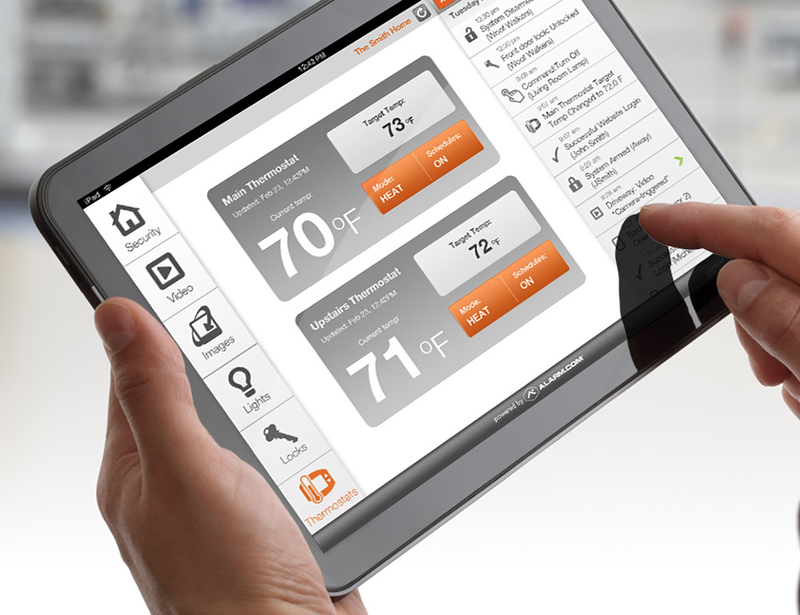 With the home automation program, you can control everything directly from your phone. 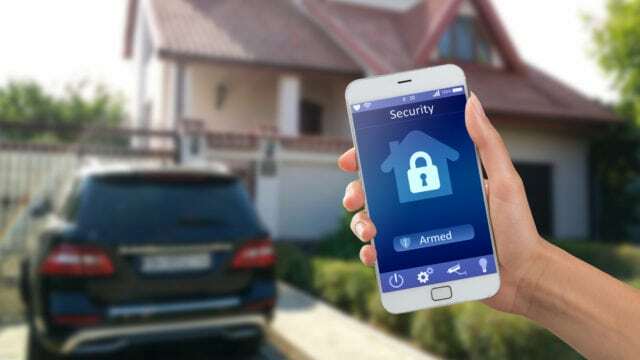 These features can improve the security of your home by allowing you to lock doors, monitor the thermostat, see and chat with whoever is at your front door, and control both the lights and garage doors. You can also stay in the know of what’s going on in your home with instant alerts throughout the day. The Elite plan is a final step above the Gold plan, featuring all of the 24/7 monitoring and home automation tools, plus HD video recording. This feature rounds out your coverage by allowing you to monitor with indoor and outdoor cameras. The cameras offer on-demand monitoring, scheduled recording, and activated video recording for your home. All of these recordings are available to view on any of your devices. The warranty on the products is offered through the manufacturers of the equipment. Should you have any issues, you can contact the manufacturer to get assistance with your equipment. Most of the equipment warranties last for 1-2 years. If you aren’t 100% sure that you’ll like Link’s services, or you want to test the system out before you commit, Link has a 30-day money back guarantee. During those 30 days, you can return the system to get a full refund of all of the equipment costs and the monthly fee you paid. After those 30 days are over, the long-term contract you signed applies. After our Link Interactive review, we love the easy-to-understand and customizable coverage plans. With only three plans to choose from and apparent differences, it makes setting up an account with Link Interactive stress-free. This company is also a great choice if you’re interested in the standard home automation features that are dominating the market at the moment. The inexpensive plans and customizable bundles make sure you always feel protected in and outside of your home. Overall, Link Interactive is a great option for a home security system. Do you use this sytem? If so, leave your own Link Interactive review below.